"It's OK to Patronize Pro-Atheism Films to Provoke Christians to Action"
Regarding The Golden Compass, I agree, age-appropriate viewing along with informed parental guidance is required for the film, but I personally don’t have a problem spending my money on this film. In fact I would pay double the cost to show my teenage children simply for the opportunity of “inoculating” them against the false perceptions of God, the church and sexuality that are pushed in these stories. I actually hope that the other movies are made so that Christians are forced to react INTELLIGENTLY regarding defending the Christian worldview. The war is already won! But we do need to pick up our swords and finish the battles. But thank you for all your work for the sake of the Gospel of Christ, God bless!! Thank you for your interest in my Probe Alert article. I commend you for your commitment to take advantage of opportunities to equip your children to recognize and respond to contrary worldviews pushed on us in our culture. As you know, I suggested this as one alternative in my article. Most of the children and young adults who would view the movie and/or read the books will not have a parent discuss the worldview implications or issues with them. On the contrary, most of them will strongly identify with the protagonists in their battle against the authority of God. Without critically evaluating their feelings, this emotional experience can influence how they perceive their relationship with God. As we have witnessed over the last forty years, movies and television have helped move the norms of our society further and further away from holiness and purity. Phillip Pullman openly states his intent is to influence people to view Christianity as misguided and damaging. Providing him with more resources to support this objective does not seem to be a prudent use of the financial resources entrusted to us. Early financial success will lead to more advertising and greater distribution of these books to a largely unchaperoned audience. It will probably also encourage New Line Cinema to take a more anti-Christian approach in the production of the sequels. This trilogy and any associated movies are not going to single-handedly convert our culture to atheism. However, they reflect the greater and more public antagonism to religion being espoused in our society. In general, we should not encourage these attacks through our financial support. At the same time, we should not be on the defensive. When these attacks do occur, we can use them as opportunities to share Christ whose position as the Way, the Truth, and the Life is not threatened by the imaginations of those who oppose Him. Well said; I admit my pro-atheism movies position may be a bit naive; I do see the value of your arguments. Maybe I take this extreme view just to provoke my fellow Christians to take up arms and not be afraid of the fight as I find so many from my (reformed) Christian circles tend to take isolationistic approach rather than see logical and reasonable discourse as a legitimate means to answering a fool according to his folly or casting down every lofty thing that exalts itself against the knowledge of God. Thanks for your reply, I really appreciate the attention to individual concerns, (even though I probably agree with almost everything you said). 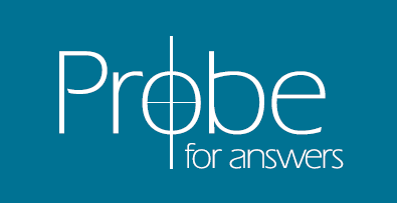 I recommend Probe.org, Stand to Reason (str.org) and others to all my friends.